Daniel Mills got the 5th ascent of The Mandala. At that time it was considered one of the climbing test pieces of the world. World famous Chris Sharma first sent the problem when he was 19 and called it the hardest problem he had done. Two years later, Dan Mills who just turned 15 repeated the climb which made him the youngest climber to have climbed the Mandala. North Face chose Dan to bring out their A5 clothing line featuring him on their screen saver and their magazine covers sending the Mandala. Also, he again sent the Mandala in the Petzl sponsored USA vs Europe for the Access Funds. Dan has also established countless first ascents in Bishop,Tramway, Black Mountain and Joshua Tree. He competed for the USA climbing team and has finished among the top three in the nation from 13 to 19 years old. He was an undefeated regional champion from the time he was 13 to 20 years old and an undefeated divisional champion during that same period representing the USA climbing team in Austria, France and X Games. He was the Number One 14 year old in the nation when he was selected for his first United States climbing team and represented the United States in Imst, Austria and for the World climbing comp. He later represented the U.S.A. in France at Worlds when he was 15, finishing 10th in both speed and climbing. 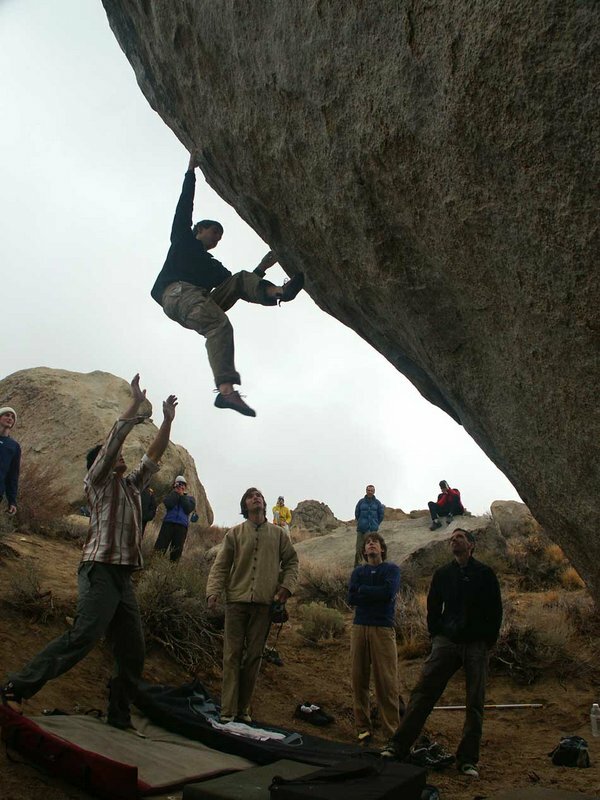 By the time Dan was 20 he was ranked as high as #2 on the 8a.nu world ranking bouldering site. Recently he got the 4th ascent of Iron Resolution (V13) in Joshua Tree, CA another world test piece of climbing. Chris Sharma, Dave Graham and Tony Lamiche watching.